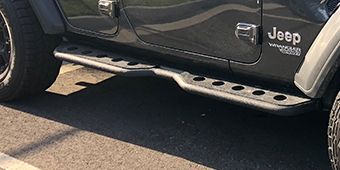 If you want to attach a winch to your 2018 Jeep Wrangler wrangler JL, then you need to think about what you want the winch’s capabilities to be and then shop for a winch plate that can meet your needs. Many winch plate sets work with any winch, but you need to be sure before you choose to mount one. 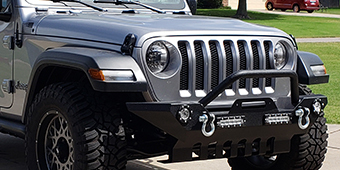 At Extreme Terrain, we carry a wide selection of winch mounting plates that bolt-on to the front of your JL. You will find that we stock the best brands on the market and each mounting plate is made with strength in mind.